A couple in Bonsall face the prospect of losing their property due to Nottingham City Council’s “disastrous” and “misguided” housing benefit policy. The landlords David and Joanne Lansbury rented their property last July to their current tenant and had no idea that upon receiving two months rent upfront, that the tenant was in fact receiving housing benefits being paid directly into his own account. After the first payment the tenant refused to pay any more money after entering into a dispute over property maintenance. The couple have repeatedly asked the Council for help to reconsider their policy as they are in extreme danger of having their property repossessed. 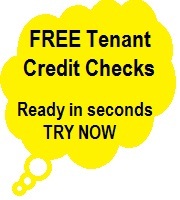 If the tenant is claiming they still require payment Direct due to dissrepair - then you require the council keep the claim suspended and require an HHSRS inspection see See Council Inspections.